Lineweights is proud to present our first ever Sketch Crawl event! 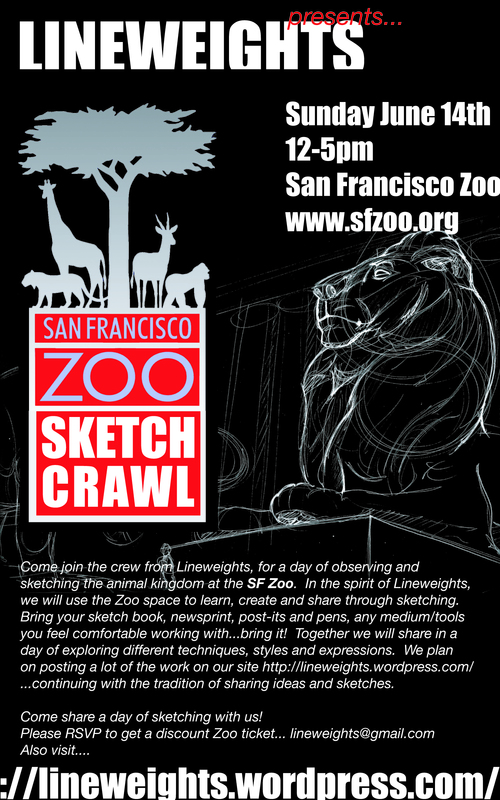 We will be attacking the SF Zoo, for a day of observing, sketching and sharing. Please join us! This is from LAST year, 2009!